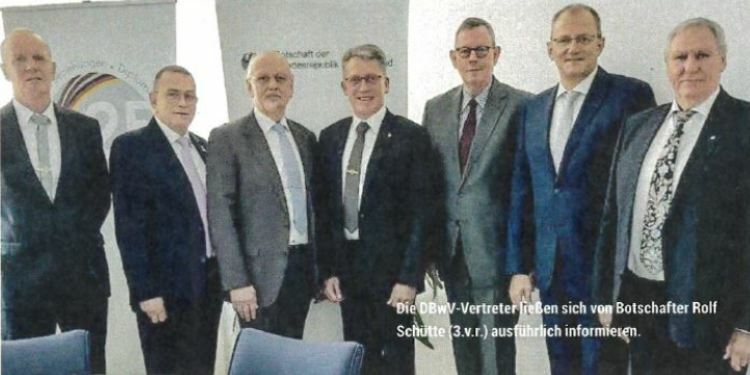 Abstract – On the occasion of the 116th EUROMIL Presidium Meeting the DBwV-Delegation visited the German Embassy in Latvia. The current security and defense situation in Europe as well as the military cooperation within the EU were discussed. It was an interesting visit and give the DBwV-Delegation a lot of input for the talks with the 60 delegates of the 20 EUROMIL members, which participated in 116th EUROMIL Presidium Meeting. The original article is available here. For more information, please contact the DBwV.